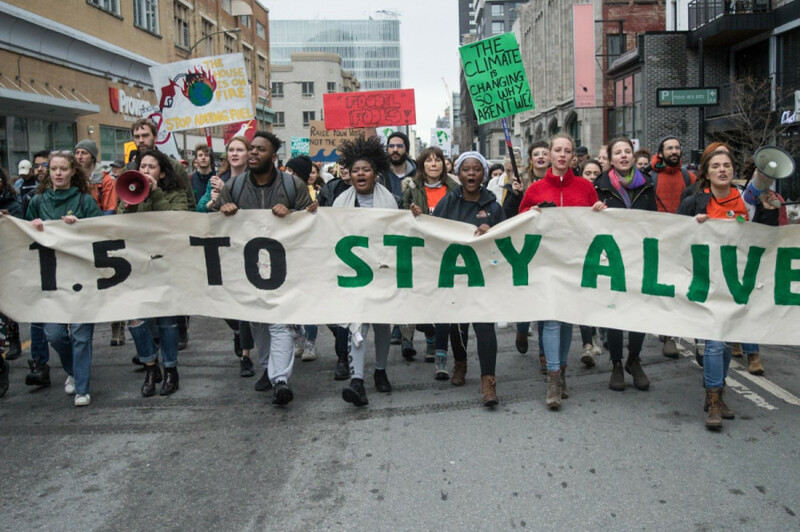 Of the climate strikes simultaneously happening throughout Canada, the one in Montreal was the biggest. About 150,000 people, most being students, mobilized to demand change Friday afternoon. 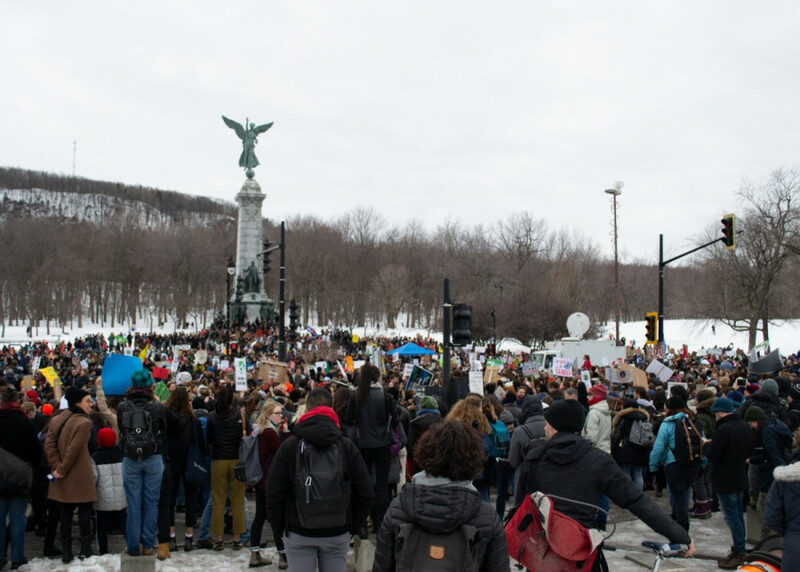 “We started at Université de Montréal a month ago and we sent a call to all of Quebec to start student strikes, with the response being immediate,” said Jamie Latvaitis, a Concordia student and one of the main members of La planète s’invite à l’Université. The crowd gathered at Parc Jeanne-Mance and represented over 120 student associations. The demands of the organization are clear: Transparency from institutions and their investments in fossil fuels. They are also looking for the implementation of educational campaigns, teaching students the scientific facts about climate change, and that the government be bound by law to align plans with the IPCC’ guidelines for reducing warming to 1.5 degrees. Concordia students met with those from Dawson College at the corner of Guy St. and Maisonneuve Blvd. at noon, then went to McGill to rally and collectively state their demands for divestment and policy change. From there, the protesters made their way to Parc Jeanne-Mance to meet with the other contingents. 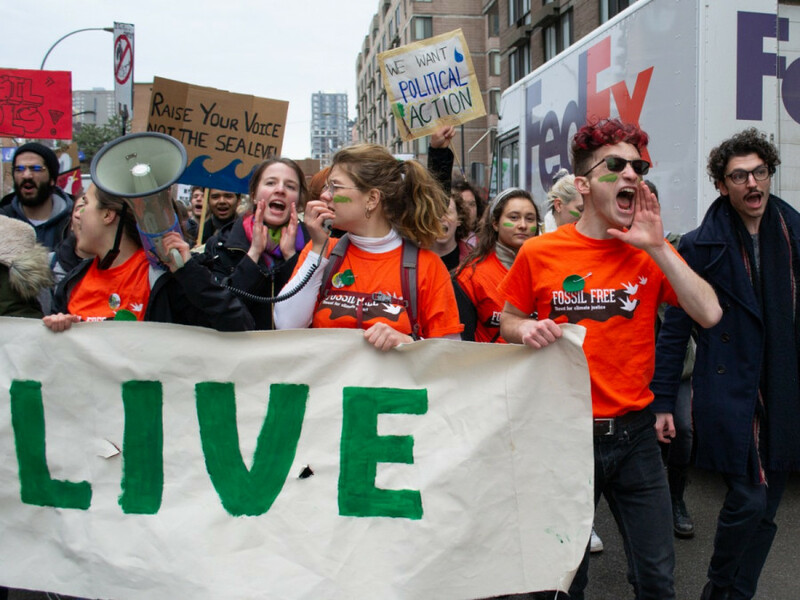 Since November, high school students in over 200 cities have been skipping class on Fridays to picket outside their schools, a movement ignited by 16-year-old environmental activist Greta Thunberg. Thunberg demanded that the Swedish government reduce carbon emissions in accordance with the Paris Agreement and has vowed to protest outside of the Parliament every Friday until those commitments are honoured. She was nominated for a Nobel Peace prize for her talk at the World Economic Forum in Davos. Politicians from Parti Québécois, the Green Party, NDP and Quebec Solidaire were among the immense crowd, including Manon Massé. Protesters marched in step with other Canadian cities including Toronto, Vancouver, St. John’s, Charlottetown and Regina. On a global scale, organizers say there have been more than 2,000 protests in 125 countries, stretching from Australia to Africa. Sophie Beauchamp-Lizotte, member of the Concordia Food Coalition and the Sustainability committee, has been actively pushing for environmental initiatives through the food system. At the march, Beauchamp-Lizotte and her colleagues were collecting signatures for a petition on behalf of the Food Autonomy Campaign. The campaign is pushing for student-run initiatives to be granted more space, the use of meal plan flex dollars at student-run spaces like the Hive and Frigo Vert, and reducing contracts with Aramark. They hope to gather enough support to pass the prospect to the general elections. 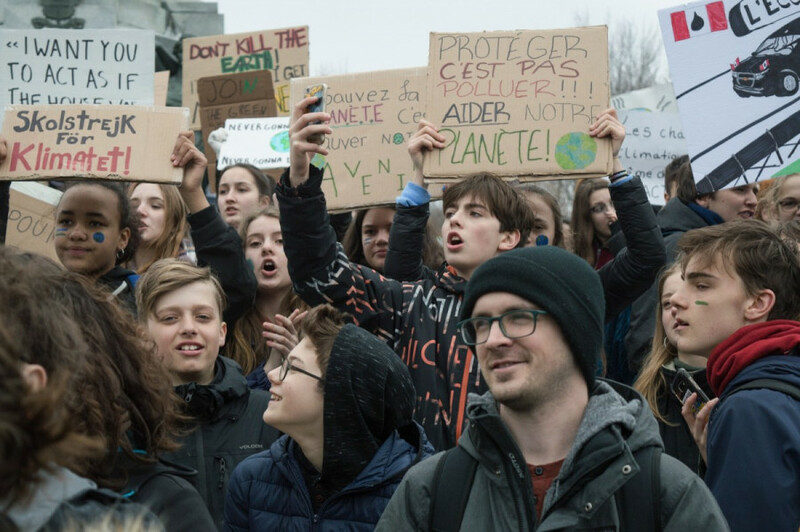 The main responsibilities of Profs pour la planète, a collective of teachers, professors and administration, are to encourage education in environmental issues to students so that the younger generation knows what they face in terms of challenges. The next goal is to support the younger generations in pressing the government for meaningful change. “We’re trying to help school boards react in a way that is supportive to the students and get everybody on the same page,” said Vanessa Gordon, a professor in politics at Dawson College. After taking cues from France where an initiative had first started, Profs pour la planète are pushing to support the next generation as educators. Gordon commends students for the pressure they’re putting on their schools and government, emphasizing that it’s easier for them to strike as opposed to those who have families and careers on the line.